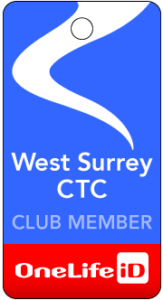 Shooting Star Chase invites CTC West Surrey Cycling Club to take on their team challenge! Our Hospice2Hospice Bike Ride is our annual ride around Surrey taking place on Sunday 21st September and we would like to invite CTC West Surrey Cycling Club to join us for a charity ride with a difference! Our distances include 30, 60 and 80 mile routes passing through Bushy Park, Newlands Corner and Box Hill – a very similar route to Ride London-Surrey 100 and the Olympic Road Race. CTC West Surrey Cycling Club have the chance to go head to head with other local clubs, corporate supporters and groups of keen cyclists to win a team celebration dinner at a surprise location! Each member of the team will also receive a selection of cycling goodies worth over £50! Our new Team Challenge package gives teams of six the chance to compete against other riders. For every mile covered by your team in the Hospice2Hospice Bike Ride 2014 you will be rewarded 10 points. For every pound you raise you will be rewarded 10 points. The team with the most points as of Sunday 21st September will be the winner. No matter what distance your team members choose to cycle, you still have the opportunity to win! As well as the Team Challenge, the top individual fundraiser for the event will be rewarded with a brand new Boardman bike worth over £500, as well as the opportunity to ride this in the 2015 Ride London-Surrey 100 so don’t forget to set up your fundraising page too! as well as training and fundraising advice! For more information please click here to visit the website: Hospice2Hospice Bike Ride 2014 website. Should you have any questions regarding the day please do not hesitate to contact me on the details below.